[New open!] 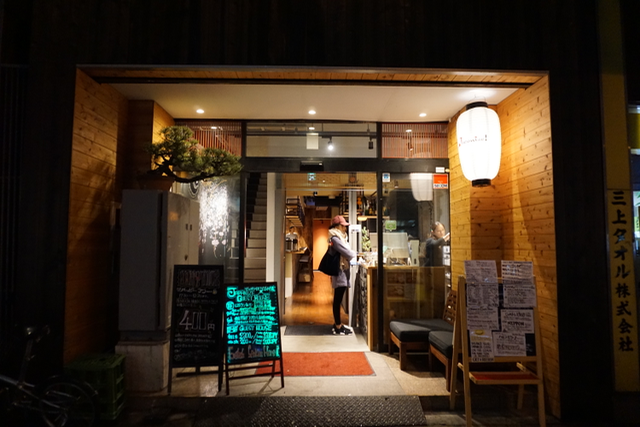 Staying overnight with No-frills at Japanize Guest house&Bar | Japanize! 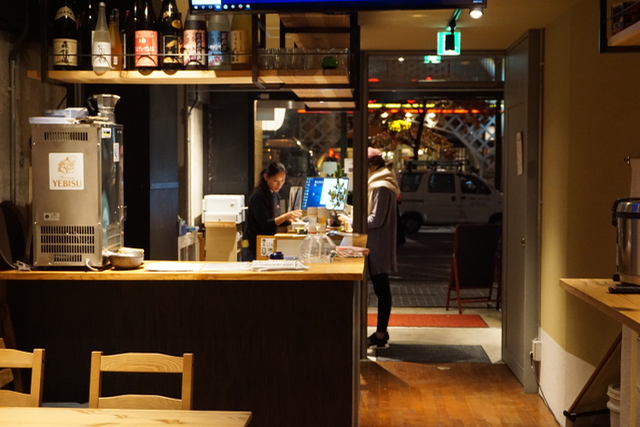 Just a 1-minute whisk away from the nearest station, Japanize Guest House & Bar is the perfect, simple solution for visitors hoping to stay in Tokyo for less. With its grand opening in August this year, Japanize Guest House and Bar is all about having an intimate, hearty experience in the sober town of Bakurocho under the shadows of the nearby Akihabara and Nihonbashi’s electric neon lights. 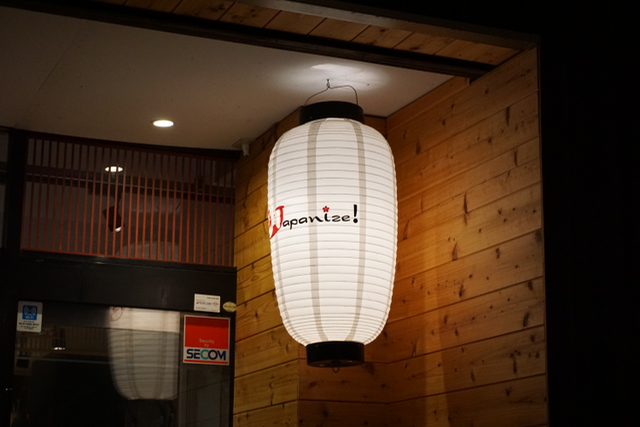 Japanize’s aesthetic is a combination of aspects from traditional Japanese culture and contemporary design. The concept of the accommodation and its name, “Japanize”, perfectly melds the old with the new. The guesthouse features a simple yet refined, both rough and smooth interior, which radiates an atmosphere of flawless ‘wabisabi’. Surveying the entrance of the guesthouse, there isn’t a grand chandelier hanging from the ceiling, nor is there a talking robot greeting you with its warmest welcome. 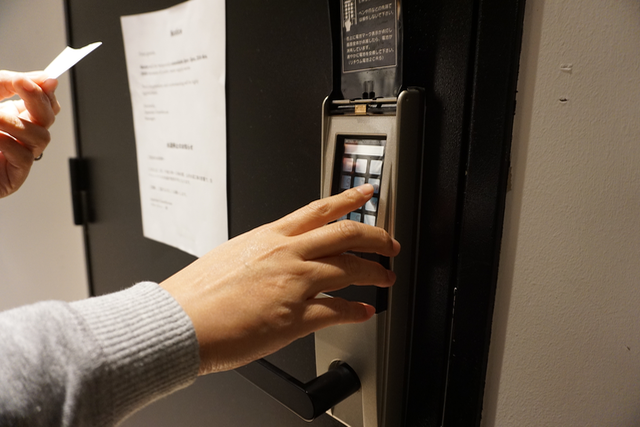 There are no bellhops rushing around the lobby with luggage carts, and there’s no high-tech automatic revolving door to enter through. Instead, a modest check-in counter sits at the front of the first floor. This counter is delightfully run by the guesthouse’s (utterly awesome) multilingual staff – who all have proven track records of international backpacking experience. Additionally, finding free wifi can be a big pain in Tokyo and around the country, with tourist-oriented wifi services being fairly spotty around the city. International roaming fees are also considerably steep, as it’s not too difficult to rack up hundreds, if not thousands of dollars on your phone bill. 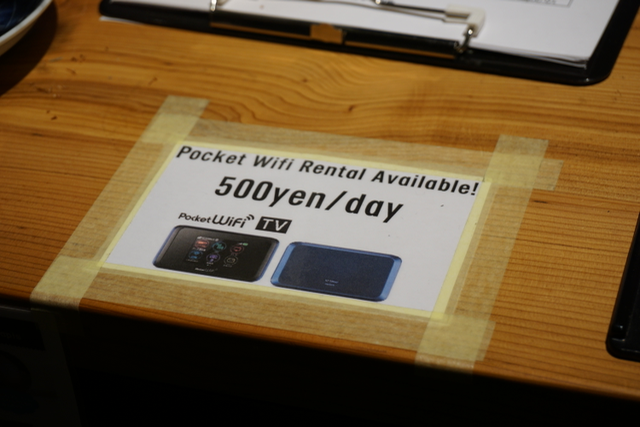 However, at the check-in counter, guests can rent a portable wifi router for 500 yen/day, proving to be a valuable lifesaver for those who need to stay connected. There’s also free wifi in the building so you can use it to your heart’s content. The rest of the first-floor also acts as an area for the in-house cafe & bar-style restaurant, established not only for guests but also Japanese locals to dine and drink at. 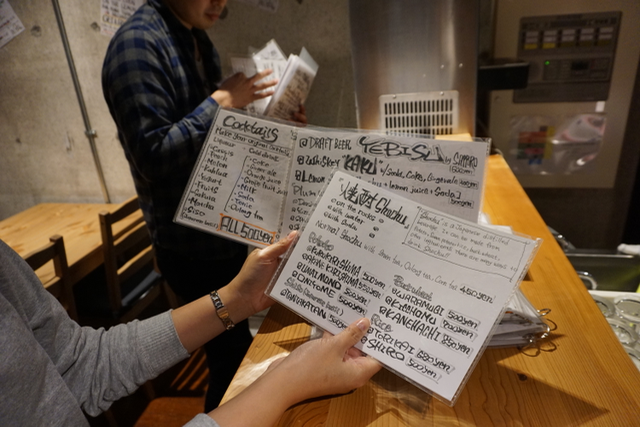 The kitchen, manned by the charismatic Dai-chan and Nori, serves Japanese comfort food on the menu – from perfectly-cooked succulent karaage (fried chicken) to Japanese-style pizza topped with marinated cod roe. 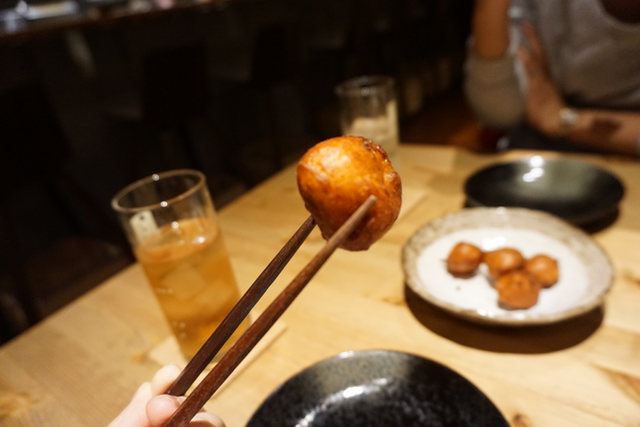 Our favourite dish of the night would have to be the corn fishballs, which were bursting in flavour with sweet corn kernels popping as you bite in. They had a bouncy texture too, thus making the experience of eating this unique dish extremely enjoyable. We were also pleasantly surprised to hear that all the dishes on the menu are made from fresh ingredients sourced domestically to ensure seasonal freshness and dishes of the highest quality. 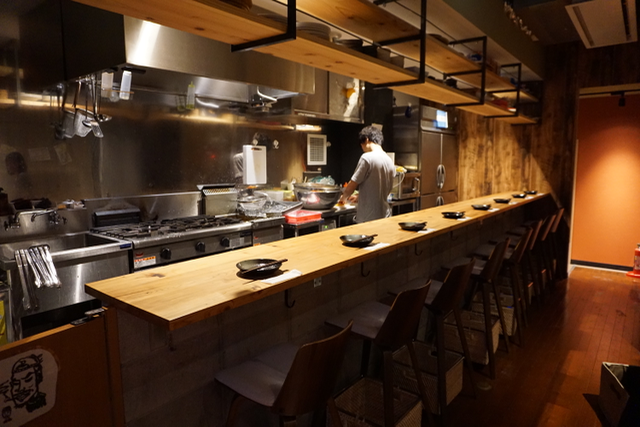 Furthermore, “Dai-chan’s Kitchen” isn’t your typical in-hotel restaurant where all you do is just eat and drink. It’s also a great space to interact with the staff, guests and regular locals. 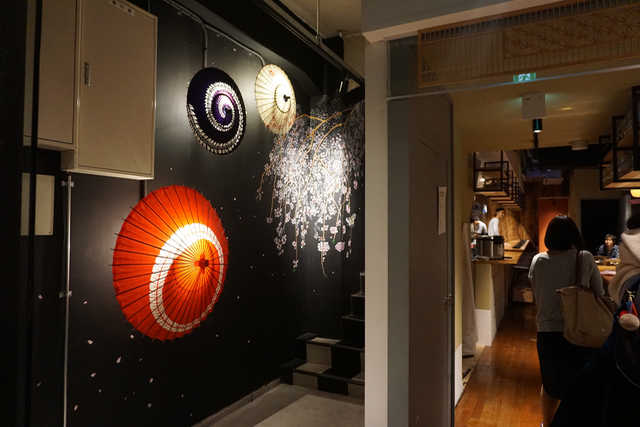 During our night, we could easily interact with the staff, guests and Japanese locals. Checking out the first floor bar is an absolute must if you stay at Japanize, especially as there is a complimentary drink included with the stay. 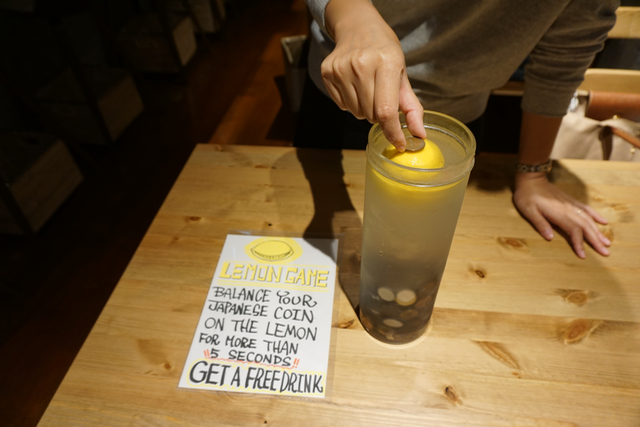 The unique bar game they have – called the ‘Lemon Game’ – is all the more reason to go (though we reckon the game’s totally rigged so no-one can win). 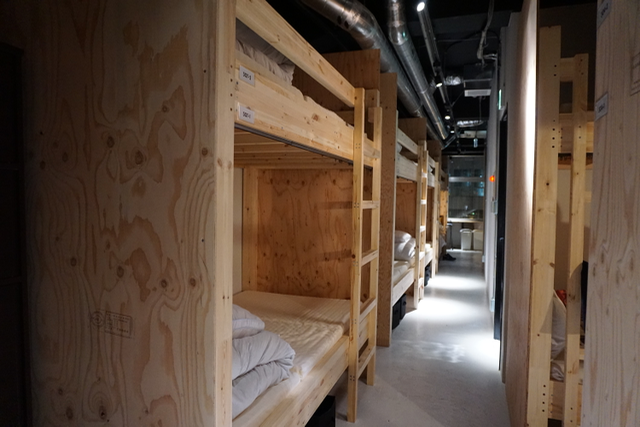 Bunks beds, a communal lounge, shared toilets and shared showers? Sounds like high school camp all over again. Contrary to what it seems like, the whole experience was nothing like a compulsory school camp. The system is quite similar to a capsule hotel. 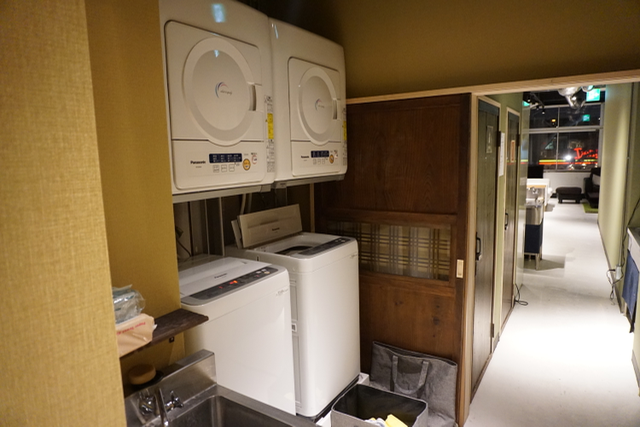 However, having previously stayed at a capsule hotel, Japanize is has a comparatively relaxed air to it. Plus there is an energetic vibe to socialise among the guests and staff, but you don’t have to force yourself to be friends with everyone you see. 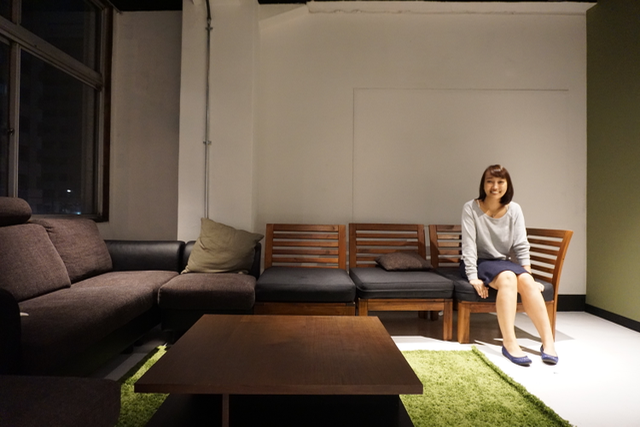 The guesthouse also recently just opened their lounge area on the second floor. Equipped with a plethora of plush sofa chairs and cushions, it’s the perfect place to hang out with other guests or wind down whilst enjoying the speedy internet. On the same floor there are the communal showers (separated by gender), desk areas, laundry washing machines (free to use, help-yourself), etc. Even though the bathroom is shared with the rest of the guests, it was still really comfortable. Hot water (temperature can be freely adjusted) flows with the ideal amount of pressure you want. 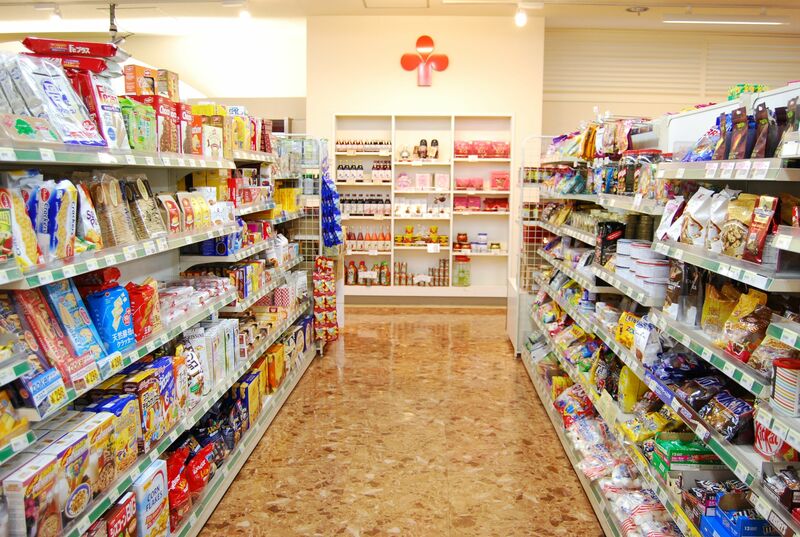 Shampoo, conditioner and body soap are supplied in the shower rooms. Powerful hair dryers are provided for those who like to dry their hair after showering. Moreover, towels can be rented at a fee of 200 yen, however we brought our own. Take off your shoes for the shower! The bedrooms upstairs are securely locked by a pin-code security system to keep any suspicious crooks out! Feeling very safe in our stay, the beds were unexpectedly spacious and the mattresses are super comfortable – unlike many hotels, the mattresses weren’t rock hard either. Like traditional Japanese futon, we were provided with mattress and pillow covers to use to set up themselves. So, with this, did we sleep safe and sound that night? Disregarding the massive earthquake that occurred at 6am on the day we were to check-out, we had nothing but a great night’s sleep (plus there was excellent connectivity to the wifi from our beds). The whole experience at Japanize Guest House & Bar pretty much revolves around helping yourself. Keep in mind that there is no elevator in the guesthouse, hence taking up bulky suitcases will prove to be a total pain. However, there is storage space on the first floor – we suggest taking all personal valuables to your bed and leaving big luggage downstairs. In addition, sharing a bedroom with many other guests means that when it’s lights out, it’s quiet time too – so keep the volume at a minimum so everyone gets a good night’s sleep. If you need to talk, feel free to do it outside or at the bar. Again, if you don’t want to pay to use a towel, we’d advise to bring your own for your stay. Japanize Guest House & Bar is the perfect option for travellers who want to stay in a place with no inessential frills. 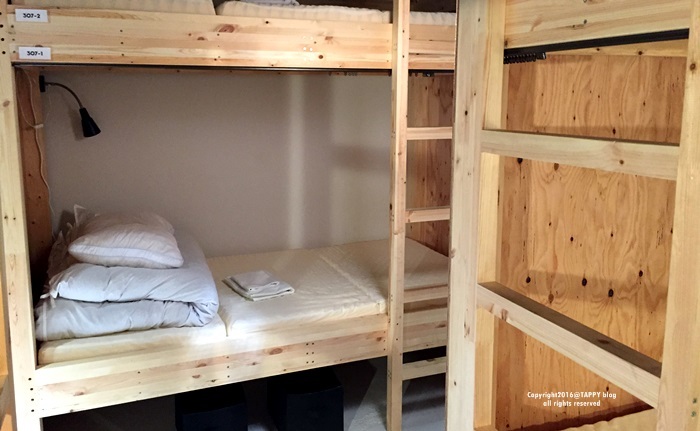 With the very attractive price of 2,500 yen per night and combined with the convenience of its location (1 min walk to station), Japanize will surely keep your wallets afloat whilst offering a unique local Tokyo experience.